This is the most recent information about Carolyn Dawn Johnson that has been submitted to amIright. 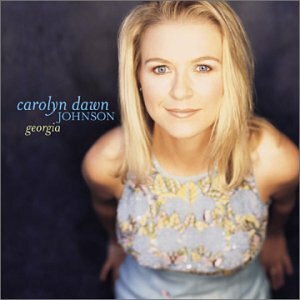 If we have more information about Carolyn Dawn Johnson, then we provide a link to the section where it appears (the actual page whenever possible). "Taking Back My Brae" originally "Taking Back My Brave"
"Not Enough To Say" originally "Not Enough To Stay"
"Groom With A View" originally "Room With A View"
"Broom With A View" originally "Room With A View"
"Not Enough To Stray" originally "Not Enough To Stay"
"Not Enough To Spay" originally "Not Enough To Stay"
"Not Enough To Sway" originally "Not Enough To Stay"
"Not Enough Do Stay" originally "Not Enough To Stay"
"Not Enough To Slay" originally "Not Enough To Stay"
"Not Enough To Stab" originally "Not Enough To Stay"
Oh, I want you to know, But then again I don't, It's so complicated. "Vroom With A Yew" originally "Room With A View"
"Vroom With A Ewe" originally "Room With A View"
"Taking Mack By Brave" originally "Taking Back My Brave"
"Making Back Tie Brave" originally "Taking Back My Brave"